Looking back at life amongst the happy people - Farvel Danmark! A week doesn’t seem to go by without another article, survey, research report or book announcing the anthropological discovery of the moment - the Danes are the happiest people in the world (or some spin on that same truth). The theories abound: they’re happy because they’re all on anti-depressants, its the high divorce rate, its the welfare state, its their low expectations in life and, perhaps most unkindly, because they excel at mediocrity. I don’t have a theory to expound and have not devoted any time to scientific research but I have been ‘in the field’ so to speak for nearly 3 years and, truth be told, these have been amongst the happiest years of my life. This joyous observation must of course be tempered by some of the other factors at play during this time: it was our family's first ex pat adventure as we stepped off the wearying and life sapping treadmill that was working and living in London and I embarked upon a career break, shifting down in the gears from the professional life as a barrister that had driven me for 10 years. 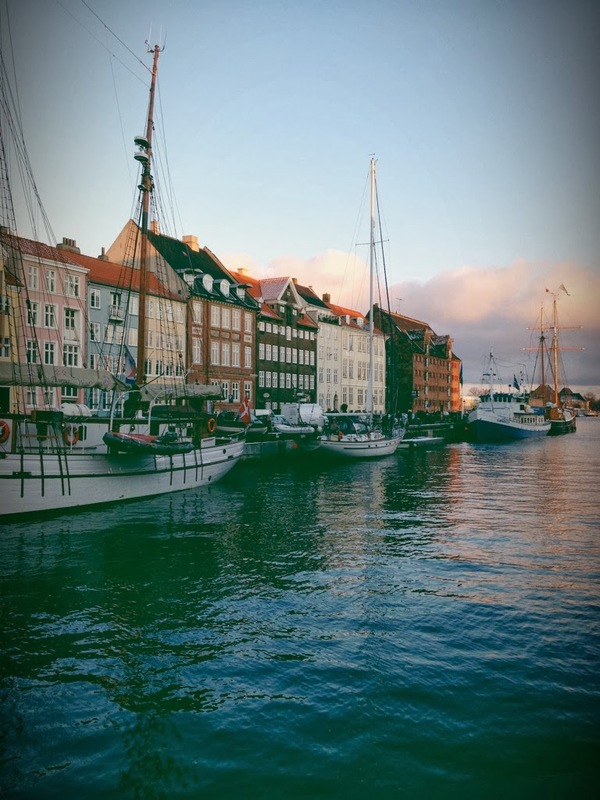 Perhaps it isn’t surprising then that I found happiness in wonderful Copenhagen with a licence to lunch as a card carrying member of the stay at home mums club. But the seismic shift in my (our) lifestyle was not without its penalties: we gave up my six figure annual income and moved to one of the most expensive countries in Europe, moving away from family and friends to a place where I couldn’t speak the language let alone pursue my career in any meaningful way. The climate hostile, with the long dark Nordic winters and the natives not much warmer, if all that is written about the icy cold Danish temperament is to be believed. Being urbanites at heart we were drawn to living as close to the centre of Copenhagen as we dared with a young family in tow. So we swapped a garden flat in leafy Belsize Park for a third floor flat in Østerbro with no lift, no bath and a kitchen in which I could barely swing the proverbial cat. Happiness was therefore not an inevitability of our relocation - on paper the prospects looked bleak. So, why the happiness? Why do I feel a wrenching heartache now that we are leaving? Well, my point is that it wasn't the circumstances of my time in Denmark - it was the environment. 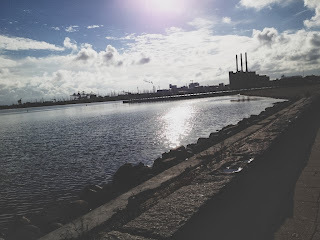 I mean it when I say that the three things you will routinely hear visitors to Denmark complain about - the language, the people and the weather - were the things I loved most and they played a huge part in making my days here sublime. This is my epilogue to time spent living amongst the world's happiest people. I can still remember the first Danish word I learned: jordbær. Then blåbær naturally followed and then there was confusion around appelsin - because it looked like it should mean one thing, but actually meant another. And so, the journey to learning a new language began. Being a stay at home mum, I started with ‘kitchen Danish’. I soon realised that going to the supermarket with a shopping list for the ingredients of my go-to weeknight meals from our London life was a soul destroying and pointless exercise. Instead I started collecting the free recipe cards at the checkout in Irma and the weekly meal plans that came in the free newspapers shoved through the letter box. I soon found my way around the meat counter, the fruit and veg aisle and my spice rack. I’m not sure what my incentive was to go to the twice weekly evening language classes; the chance to meet new people, exercise my brain, escape my young family at the witching hour or maybe just to learn how to communicate with the people around me. Whatever it was, the free language courses were too good to pass up. It took nearly two years of hard slog to get to module 5. Hoved-sætning, led-sætning, adjektiver, nutid, førnutid, datid, etc etc etc. Not to mention the udtale! Oh my goodness the udtale - I even took extra pronunciation classes in a hyper-conscientious effort to make myself understood. It was pure determination that kept me trying to make my mumblings understood and to get the Danes to mumble back at me. And the magic really was in learning how to mumble. Bit by bit, as my confidence grew, it began to work. The day came when I was able to go beyond ordering a cappuccino, to say that I would take it with (not take it 'away', which have previously got me nowhere) …. and slowly the conversations started. A pivotal moment was when I ordered a taxi ON THE PHONE and it arrived at the right address at the right time! The hour long conversation practise with my hairdresser became a real dialogue (fortunately she was pregnant and so we had a topic and vocabulary to share). By the time my daughter started at the Danish børnehave, I could confidently ask the pedagogues about her day and her routines and make small talk with her little friends. Nothing felt as good as reaching those linguistic milestones. Being able to understand Forbrydelsen without reading the sub-titles, watching Jagten at the cinema without sub-titles and ultimately going on a sewing course taught in Danish - were all reassurances that the unfathomable could, in fact, be deciphered. It turned out to be a double win as there is no surer way to understand a people than to learn about how they communicate with each other. Whereas the Danes may not be known for their small talk, there’s nothing but gaggle and chit chat in a room full of ladies learning to sew and so it was by learning the language that I also learned an important lesson about getting along in Denmark. There’s no conversation to be had with the supermarket cashier and when you pass a neighbour on the street, there’s no point throwing out a casual ‘hvordan går det?’ That’s not how its done here. But when the time is right, conversation is rife. Get it wrong, you’ll feel snubbed, get it right and your day will be brighter for it. As the rules of tennis have no place in a game of football, so you have to adapt to new cultures to survive. I do not doubt this is true of any expat experience but it is amazing how shortsighted some people can be when plunged into a world of foreign custom where people just do things differently. If you don’t expect people to hold doors open for you (not because they are rude but because you are perfectly able to open it yourself) or to give up your seat on the bus for them (because they are perfectly able to stand and if they had felt entitled to your seat, by virtue of their age or infirmity, they would have asked you for your seat), then you can relax about it all rather than scowl (or rant about it on Facebook). Whatever I felt were the shortcomings of the Danish people, I (mostly) forgave them because they made life here so beautiful. 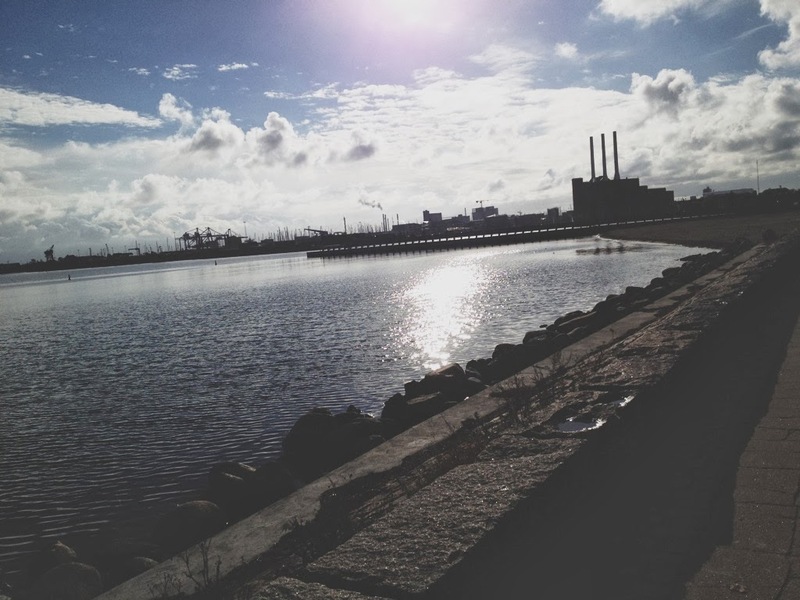 No-one can deny the aesthetic pleasure of life in Denmark. I’m not just talking about the architecture, the armchairs and the iconic lights - but the people too. Danish women are renowned the world over for being beautiful and sometimes I can’t help but gawk at their seemingly effortless style. But there is something about the men here also. I know I’m not the only lady to have observed that Danish men are lovely to behold. Don’t get me wrong, there are good looking men hailing from other countries of the world (in my humble and biased opinion, I think that I'm married to one of them) but the hit ratio here is very high and what's more, its not just the boys. Danish men are like a good wine - they improve (at least in the looks and style department) with age. What's more, the culture of equality means they (and, in particular, the good looking dads) are a very present and visible part of society. For three years I have feasted on the Danish eye candy. So the language and the beautiful people all played their part but what of the climate? Read anything written about life in Denmark and you won’t get far without mention of the word ‘hygge’. There is no translation really - its the image or feeling that it conjures up through experience of this Scandinavian concept of cosiness. But what you will not often hear said and something that I have come to learn is that hygge is the silver lining to the cloud that is the dark skies and long nights of northern winters. In theory it is possible to experience the ‘warm and fuzzy feeling’ of hygge gathered around a beach campfire in summer or eating al fresco in the garden of a summer house but for me its about candles and creating cosiness when its cold outside. In fact, I’d go one step further, you have to have been outside and frozen your toes off on a long walk or bike ride to then come inside light candles and hygge. As a family we’ve never owned a car, neither here nor in London. We’ve always been a cycling family - coming to Copenhagen just made it safer (given the fantastic infrastructure) and possible as a young family of four (given the prevalence of cargo bikes). Our daily commutes to school and work have therefore taken us out in all sorts of weather and again I find myself waxing lyrical. Not on account of my weather beaten skin or my constant bike hair (a sweaty brow can undo a blow-dry within seconds) during these Copenhagen days but because the fact that we were forced out onto the bikes in the rain and through snow and wind, got the endorphins going when the darkness and cold might have worn us down. When I first arrived here, someone said that the key to the harsh winters was to keep exercising and it was the best advice I was ever given.